Play: Destroy each elusive creature. 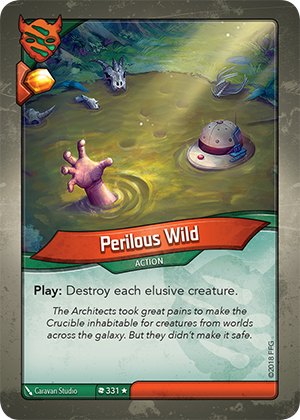 The Architects took great pains to make the Crucible inhabitable for creatures from worlds across the galaxy. But they didn’t make it safe.